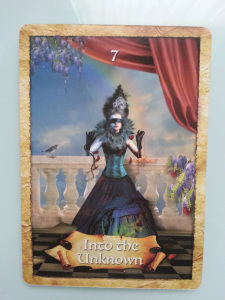 When I sat down to write this blog today, I had several ideas swirling in my head, and so I decided to pull an Oracle card from Colette Baron-Reid’s deck “The Enchanted Map.” The card I got is pictured above Into the Unknown, and the upshot is that trust and willingness to admit I don’t know this new territory are needed as I move forward. Bingo – every day right now feels like this for me, a perfect thing to write about! *Hearing writers from Killing the Buddha talking about the complex ways in which they write about faith, paying attention to the stories that believers tell rather than the “facts” of God’s (or gods’ or goddesses’) existence or non-existence. *Seeing my former Pitt colleagues Catherine Gammon and Jeffrey Condran both doing so well. *That attentive and somewhat beleagured look on other writers’ faces as they watched each other streaming up and down the endless Escher painting escalators of the Washington State Convention center. Reassuring because I knew it was the look on my face as well. *Spending time with my friends and talented fellow Berkeley writers, Kaya Oakes, Ryan Sloan, and John Levine. Always a pleasure. *Sarah Einstein, the managing editor of Brevity, talking about what kinds of stories the magazine doesn’t accept, and doing so by giving a breakdown of the worst submission she’s ever seen, the one she keeps posted on the wall next to her desk as a reminder, and she pointing out to the audience, in great specificity, the flaws in that submission’s title and theme and craft, and I’m thinking, “Jeez, that’s awfully mean of her to go on like that,” until the ending that I didn’t see coming (and which I’m sure you do see coming) when she revealed that the submission was hers. 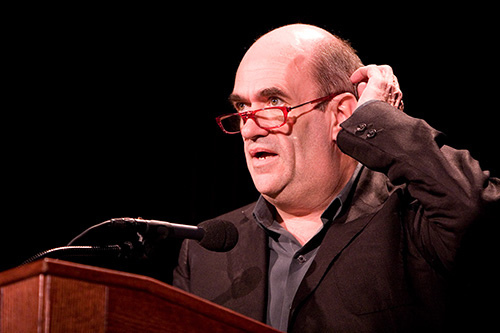 *And finally…Colm Toibin making the statement that “Novelists are chancers.” Toibin took such impish delight in being a chancer that I knew, then and there, that I wanted to be one.